Srinagar: Even as Independent MLA from Jammu and Kashmir Engineer Rashid has been summoned by the National Investigation Agency (NIA) for toeing a pro-militant line, he is not the only one from the political fraternity to do that. Lawmakers from the People's Democratic Party (PDP) and National Conference (NC) have also been hailing militants or their ideology. On 26 September, Minister of Public Works, Naeem Akhtar, condoled the demise of the former head of the department, Government Medical College Srinagar, Mehraj-u-Din Munshi, terming his death as a great loss. Munshi was an ideologue of Jammu and Kashmir Liberation Front (JKLF), which seeks independence from Indian rule. The condolence message was issued by the government’s Public Relations department, Directorate of Information. On Munshi’s demise, all the separatists expressed grief and his funeral was lead by Hurriyat(M) chairman, Mirwaiz Umer Farooq. Mirwaiz said in a statement that Mehraj-u-Din had a great "contribution towards the freedom struggle and had served many jail terms and was subjected to torture and interrogation but remained steadfast in his commitment towards the freedom struggle". 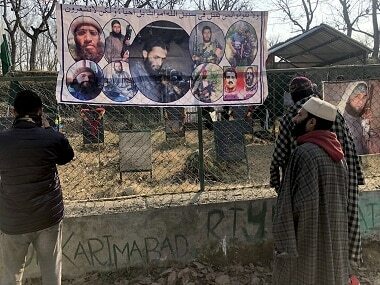 The condolence by Akhtar came only days after he was attacked by militants in Tral, where he said that security forces were ensuring that there was no "chaos in Kashmir". In 2014, JKLF chairman Yaseen Malik raised a controversy when he said that the current minister and former chairman of Jammu and Kashmir Bank, Haseeb Drabu, was associated with JKLF and he was advocating separatism. He had stated this after Drabu had joined PDP and later contested the elections and was inducted as finance minister by former chief minister, Mufti Mohammad Sayeed. "Drabu has chosen the path of betrayal and has joined the group of those conscience selling people who used resistance movement as a launching pad to satisfy and achieve their selfish goals," Malik had said then. Malik had also named former Vice-Chancellor of Islamic University, Sideeq Wahid, for being associated with the JKLF. "In 1996 I met an old man at the airport who introduced his son Sideeq Wahid to me and said that he has dedicated his son to the freedom movement. After a few days, Wahid who during those days was running a travel guide agency in Delhi came with another person Haseeb Drabu. They came to the Hurriyat office in Delhi in an auto rickshaw to meet me. Drabu talked for hours and during his conversation said that whenever he is in Mumbai he visits the ancestral house of Quid-e-Azam Mohammad Ali Jinnah and bows his head in respect for his wisdom about Hindu mindset. Drabu insisted that separation from this mentality and mindset was necessary," the JKLF chairman had said. 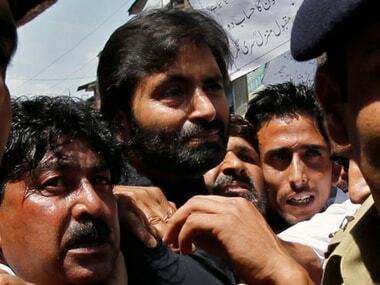 According to sources, NIA issued summons to Langate MLA, Rashid, to track his involvement in receiving funds from separatists and militants and his association with businessman Zahoor Watali was being ascertained. Both Watali and Rashid live in Handwara and recently NIA raided the residence of two drivers of Watali in Kupwara. "Though Rashid has been issuing pro-separatist statements, the transactions between Watali and Rashid are being ascertained," said a senior security official. Rashid has been seeking that the Kashmiris should be provided with the opportunity to exercise the right to self-determination and had recently announced that he was contemplating to join either of the factions of Hurriyat Conference. Rashid in a recent statement after the UN session said that the "Kashmir dispute is the mother of all evils and exchange of every word between India and Pakistan in the ongoing UN General Assembly session reflects a preoccupied and predecided mindset in both New Delhi and Islamabad". However, the Langate MLA was not the only mainstream politician who has been toeing a separatist line. Earlier this year in the Budget session of Legislative Assembly, NC MLC, Showkat Hussain Ganie, had described former militant commander, Burhan Wani, as a "martyr". Wani was killed in July 2016 and his death had triggered widespread protests in Kashmir which remained shut for over six months. That was followed by PDP’s MLA from Wachi assembly constituency, Aijaz Ahmad Mir, seeking that the government shall not take any action against stone-pelters. Mir won the elections from Wachi constituency in 2014. 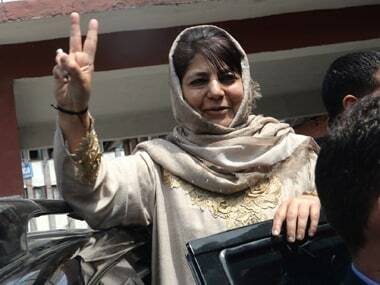 The seat was held by Chief Minister Mehbooba Mufti, earlier, and he is considered to be very close to Mufti. 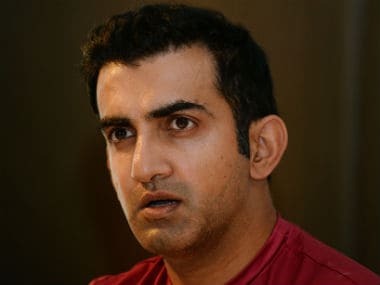 Ganie told Firstpost that the NIA summons to Rashid was uncalled for. He blamed both the NIA and PDP-BJP government for "crushing" the Kashmiri movement. "It is really unfortunate that the current PDP-BJP government has maintained a silence when the summons have been issued to an MLA. The charges have not been made public against those who have been arrested by the NIA. 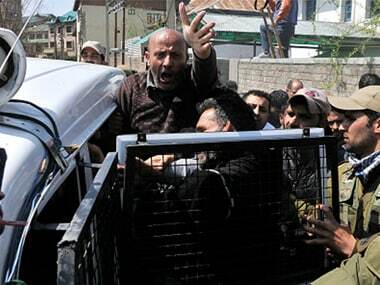 The PDP is strengthening the RSS agenda in Kashmir," he said.